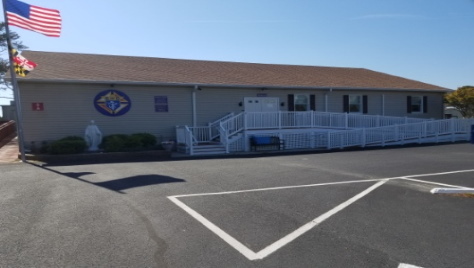 The Knights of Columbus Ocean City Council #9053 is located at the Columbus Hall, behind St. Luke's Church at 99th Street and Coastal Highway in Ocean City, Maryland. 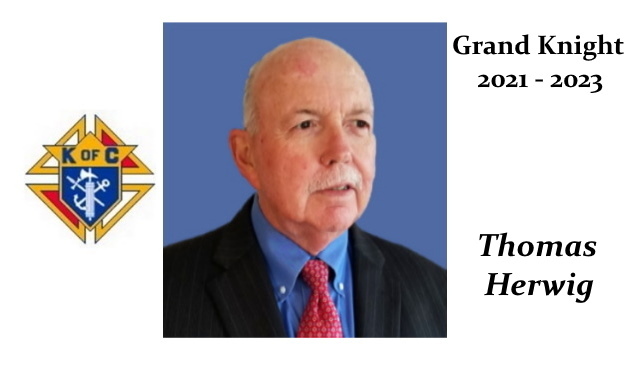 The Grand Knight for 2018-2019 is Joe Gangi. You can contact the Knights by phone at 410-524-7994, or by email to koc9053@comcast.net. Are you a Knight recently relocated to the Ocean City area? Why don't you consider transferring your membership to the Ocean City Council #9053 and enjoy all the activities of the Council here in Ocean City. Call the Interim Council Membership Director, Joe Kostelac, 410-250-5665, or call the Columbus Hall at 410-524-7994 and ask to transfer your membership to Council #9053. 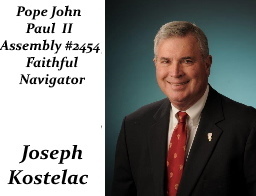 The Fourth Degree of the Knights of Columbus Council #9053 is known as the Pope John Paul Assembly #2454. Members of the Fourth Degree conduct programs that support and promote patriotism including participation in Veteran's celebrations, fostering respect for the flag, as well as support for parish and community activities. Fourth Degree Knights provide a Color Guard wherever the Bishop of the Diocese appears at local parishes or when requested by our Pastors. They also provide Honor Guards for our deceased members family at Wakes and Funeral Masses. Assembly #2454 meets the second Thursday of the month at 6 pm at the Columbus Hall. For information concerning membership, call the Faithful Navigator, Pope John Paul II Assembly #2454, Wayne Straight, 302-988-1683, or call the Columbus Hall, 410-524-7994. The Ladies' Auxiliary of Council #9053 assists with the Council's spiritual, charitable, social and fund raising programs. Membership consists of practicing Catholic women over 18 years of age. Come join us or call the Ladies Auxiliary President, Dee Matthews, 410-409-5660, for more information. The Ladies Auxiliary meets the third Monday of the month at 2:00 pm at the Columbus Hall, 9901 Coastal Highway, Ocean City, Maryland. 9901 Coastal Highway, Ocean City, Md. 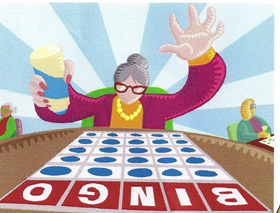 Come enjoy Bingo Friday Nights at the Columbus Hall, 9901 Coastal Highway, Ocean City, Maryland. Doors open at 5 pm and Bingo begins at 6:30 pm. * Each game night we award over $1000 in prize money. Benefits Knights of Columbus Council #9053. The Community Supper is held on the last Wednesday of the month (except December). The Community Supper is from 5:00 pm to 7:00 pm at the Columbus Hall. This month there will be a Happy Hour starting at 5:00 and dinner starting at 5:30. After dinner stay and enjoy playing games. There will be card games or you can bring a game of your choice to share. Come and enjoy a simple meal and a good time for only $9.00. For more information call 410-524-7994 Monday thru Fridays, 9:00 am to 1:00 pm. Sunday Buffet Breakfast is held the 2nd and 4th Sunday of the Month from 8:30 am to 11:30 am at the K of C #9053 Columbus Hall, 9901 Coastal Highway, Ocean City. Your prayers are requested for all the sick and deceased members of K of C Council #9053 and in particular all those named in our Council's Sick and Deceased List. Click here to see the list. Looking for a place in Ocean City, Maryland, to hold a special event (wedding reception, condo meeting, birthday party, repast, etc.)? Consider the Columbus Hall located at 9901 Coastal Highway, Ocean City, Maryland. Facilities are available for up to 150 persons with bar and kitchen. Call the Hall Rental Manager, Richard Thomas, 302-539-3225 (hm) or 610-304-9773 (cell), or call the Columbus Hall weekdays at 410-524-7994 for details and availability. The Knights of Columbus has one of the best insurance programs in the world. Click here to go to our insurance page to find out how our insurance offerings can be tailored to your needs. Contact the interim Knights of Columbus Council 9053 Insurance Representative, Kurt Diperna at 410-603-0436, long time member of 9053, for information and enrollment procedures. Follow the activities of the Knights of Columbus Council 9053 on Facebook K of C on Facebook and see and post comments on Twitter. Twitter site under construction. Check back later for information. * The Knights of Columbus "Knightline" Publication is now available on this website under the "K of C Websites" tab. * The Simple Supper is now called The Community Supper and will be $9:00 Starting in October. Council member volunteers to sponser dinner, plans and prepares the meal with help from Knights and Ladies and the Council purchases the food. * Don't forget you can now use your credit card to make purchases at Knights of Columbus Functions. * Mustang Raffle on the Boardwalk starts with the SpringFest then on weekends until May 31st at which time we will be selling the raffle tickets every day. Price is 10 tickets for $10 . Council Meeting at the Columbus Hall, 6:30 pm. Rosary Hour at the Columbus Hall, 11:00 am. 7 8 Columbus Club Corp. Meeting 4:00 pm at the Columbus Hall. 9 Charity Meeting at the Columbus Hall, 10:00 am. 11 4th Degree Meeting at 6:30 pm at the Columbus Hall. 23 24 <="" span="">Community Supper - 5:00 pm to 7:00 pm at the Columbus Hall. 25 Rosary Hour at the Columbus Hall, 11:00 am. 3 BINGO Doors open at 5:00 pm. Games begin at 6:30 pm at the Columbus Hall. 8 Polish Club Meeting 2:00pm at Columbus Club 9 4th Degree Meeting at 6:30 pm at the Columbus Hall. Ladies Auxiliary Meeting, 2 pm at the Columbus Hall 21 22 <="" span=""> 23 Rosary Hour at the Columbus Hall, 11:00 am. Corrections for this website should be emailed to: koc9053@comcast.net. Copyright 1999 - 2019 by Knights of Columbus. All Rights Reserved.